Welcome to the best in apartment home living at Wateridge Apartment Homes! Enjoy a distinctive lifestyle in the heart of Orange County. 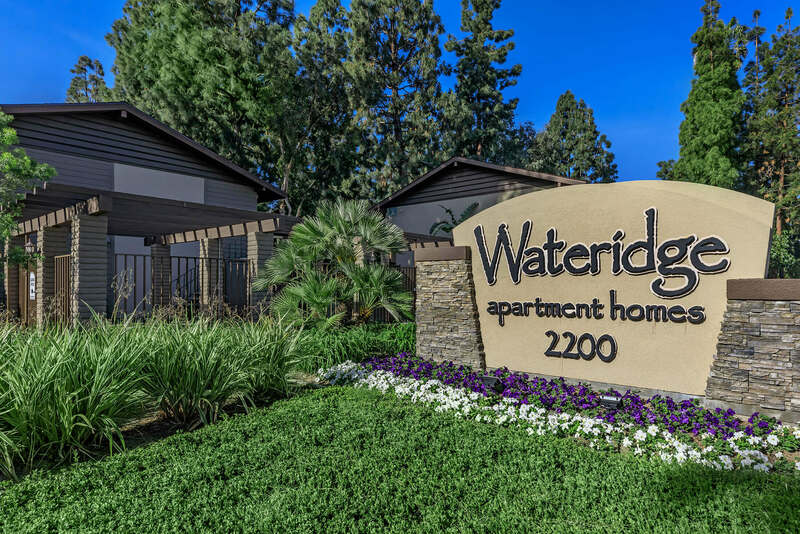 Situated in a beautiful residential area in Anaheim, California, Wateridge Apartment Homes is conveniently located next to a wide selection of fine restaurants, shopping centers, schools, theme parks and entertainment destinations. Our spacious one and two bedroom apartment homes have been meticulously designed with your comfort in mind. At Wateridge Apartment Homes you will discover a community with all the conveniences that you’ve come to expect and deserve. Residents can enjoy amenities such as two refreshing swimming pools and spas, two gas BBQ areas, two laundry care centers and beautiful, tree-lined courtyards. Quality living at affordable prices in a convenient location are qualities that make Wateridge Apartment Homes the perfect place to call home!